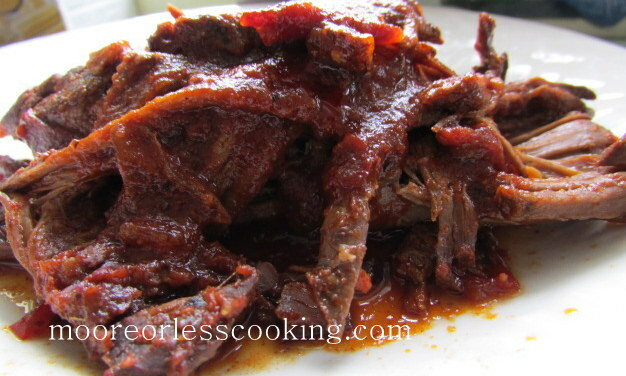 It’s still too cool here to turn on the BBQ, so why not turn on your slow cooker for this delicious melt in your mouth, slow cooker BBQ Beef Brisket? 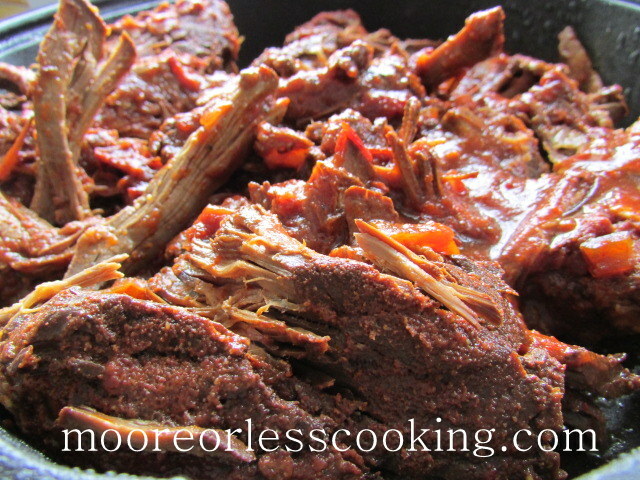 Homemade Spice Rub and Homemade BBQ sauce makes this drool worthy brisket a family favorite! This Beefy brisket is transformed into tender morsels of barbecue goodness. 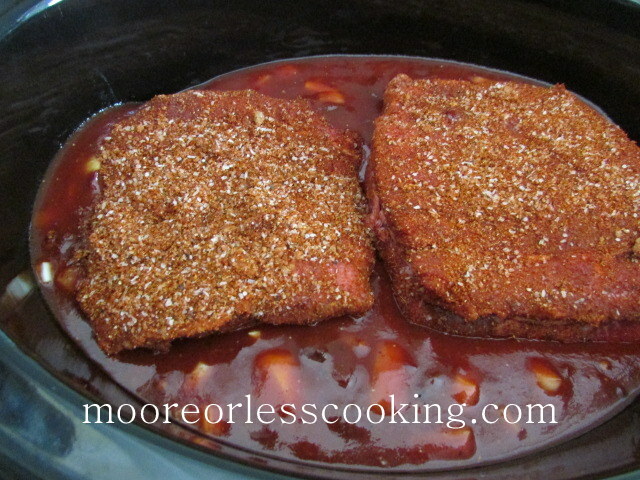 Rub the beef with a combination of chili powder, cumin, brown sugar, cayenne, and garlic, then slow-cook it in a sweet-savory sauce that includes smoky chipotle chiles. 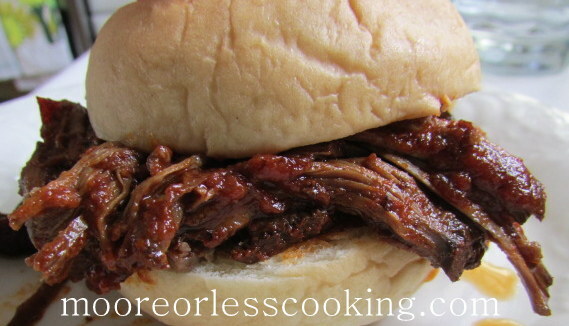 After 10 hours of gentle cooking, the meat can be sliced or shredded, tossed with the sauce, and stuffed into a sandwich. Serve with baked beans, coleslaw and my zesty potato salad. Place all of the barbecue sauce ingredients in a 3-quart or larger slow cooker and stir to combine. 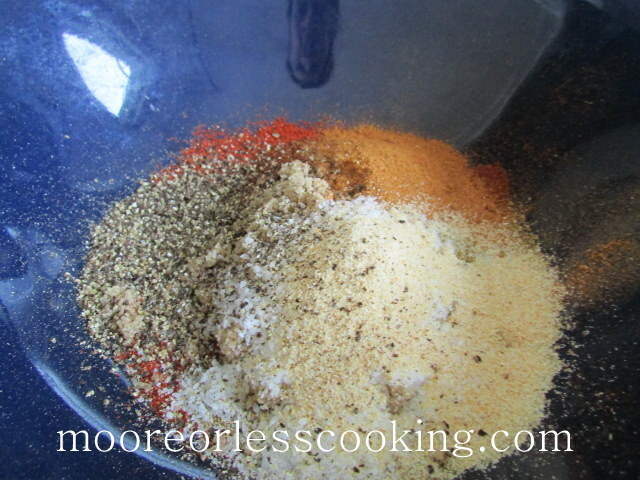 Place all of the measured brisket ingredients except the brisket in a medium bowl and stir to combine. Place the brisket on a cutting board and cut it in half widthwise. 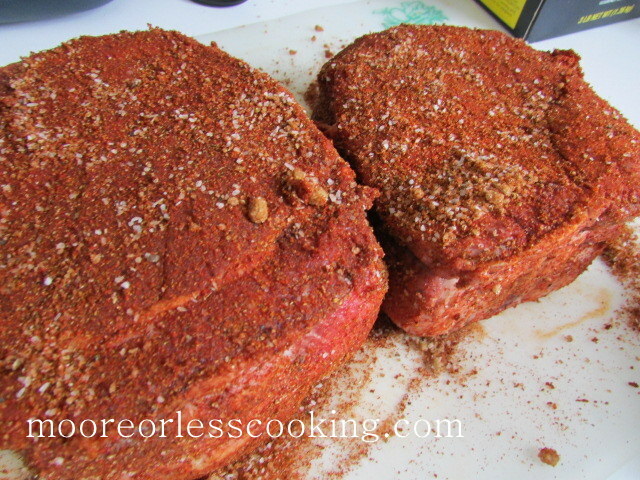 Evenly coat it with the spice rub and place the 2 brisket pieces in the slow cooker. Cover and cook on low until fork-tender, about 10 hours. Transfer the brisket to a clean cutting board. 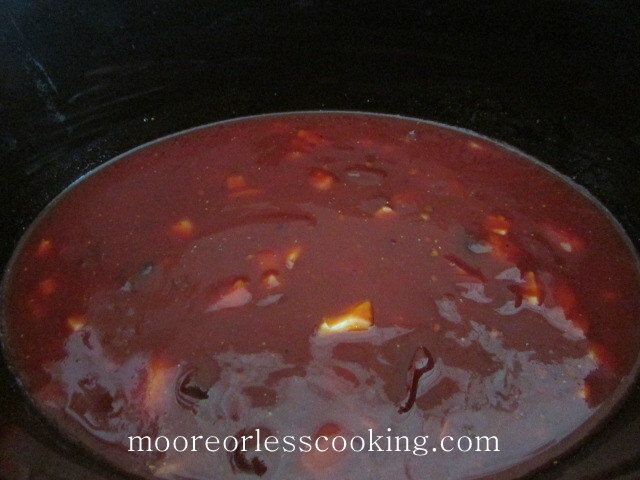 Pour the barbecue sauce from the slow cooker into a medium heatproof bowl and set it aside. 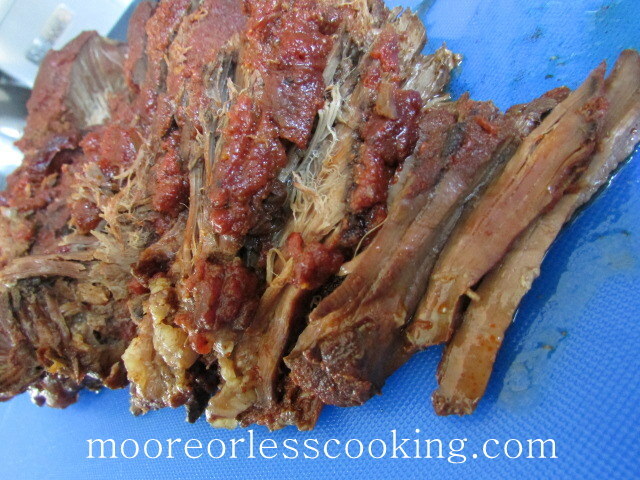 Use a spoon to skim and discard the fat from the surface of the barbecue sauce. 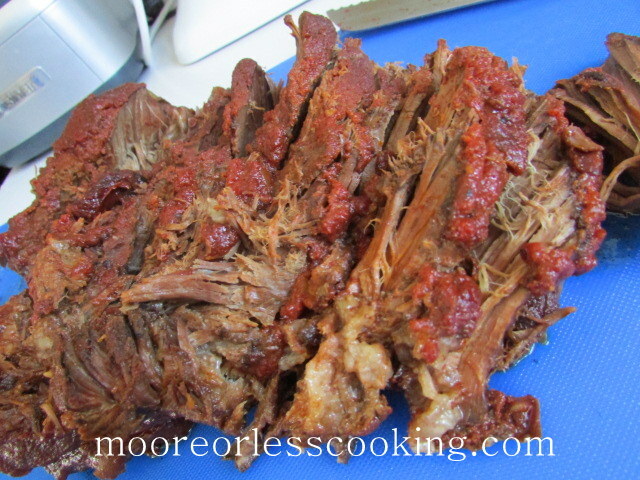 Return the sauce to the slow cooker and stir gently to combine it with the meat. Taste and season with salt and pepper as needed. I think you will love it Shirley!